We are the only independent floor cleaning machinery company in the United Kingdom to offer full mainland service and break-down cover. Over 40 fully equipped serviced vehicles. Free machine loan in the event of non repair. Full pre-planned maintenance systems on all machines including competitor equipment. 2 years warranty on all new equipment. Whatever equipment you use compare our servicing and save your budget – call 01527 313314 today. Is your Scrubber Dryer is unservicable ? 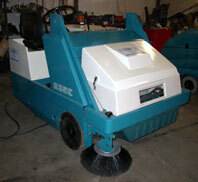 Then why not take advantage of our stock of fully reconditioned Scrubber Dryers; old and later models available. See our Reconditioned Units page for more details. 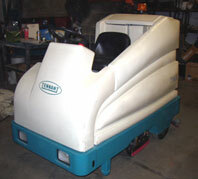 Need a Scrubber Dryer Refurbishment? 2 Years Warranty on New Equipment..